Clear Bra: Is It a Good Fit For You? Have you considered having clear bra installed on your car? Do you find there are a lot of details that aren’t readily available that would help you make your decision? Hopefully, I will be able to give you the insight about clear bra and clear bra installations that you’ve been searching for. I’ve been installing clear bra for years in the Atlanta area and would like to offer an article that touches on many aspects of clear bra and the installation of clear bra as a means to help out those who are not familiar with this technology. 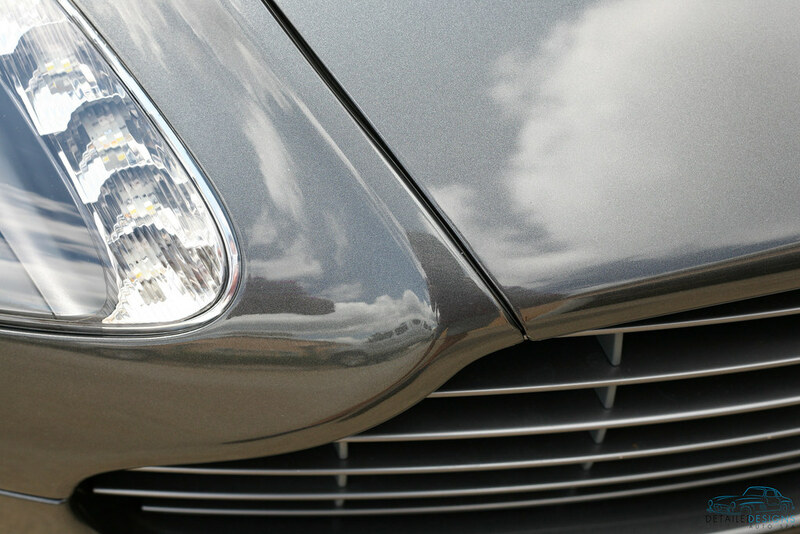 Clear bra is a common name for ‘paint protection film’, or, PPF. Clear bra is an incredibly durable clear urethane film that is applied to exterior painted portions of automobiles, motorcycles and RV’s to protect the surfaces from rock chips, pitting, debris thrown up on the road, organic and inorganic fallout as well as the wear and tear children create (bicycle handlebars in the garage/etc.). For many years, clear bra consisted of 2 layers; the adhesive that bonded the film to the paint and the protective film itself (not including the protective top sheet that was discarded before installation). Did this work? Yes. Well…it was the only option so it kind of had to. It stopped rock chips well enough but one of the biggest drawbacks at the time was that the film itself was prone to swirl marks, chemical etching and yellowing. The film was so prone to marring that merely squeegeeing over the film during installation could cause damage! How could a clear bra film be made so that it was not so prone to damage? By adding a topcoat to the film, the industry provided a long-term solution to not just making them more resistant to damage but it also offered new-found optical clarity! The majority of the clear bra films on the market are now top coated. Of the major PPF companies, three have the most notable benefits in my opinion. Most everyone that reads about film is aware of Xpel Ultimate and it’s self-healing abilities. What many don’t know is that Suntek also offers a self-healing film that works just as good. “Self-healing” is a term coined to describe the ability for the top coat to mend itself after being marred or scratched. There is a limit to how much these films can “self-heal”. Do not expect defects caused by rock impacts to self-heal. CCL (previously Avery/Denson) offers Nano-Fusion. Nano-Fusion does not offer any self-healing attributes, but it’s top coat is marketed as the industries only nano-top coat, which translates to chemical resistance. The self-healing properties are activated with heat from water, the sun or a heat gun. A video demonstrating how self-healing clear bra works. How long does clear bra last? Here is a major area where the films are marketed differently. Currently, you can have a film installed that has a limited lifetime warranty, limited 10-year warranty, limited 7-year warranty and limited 5-year warranty. Does a warranty mean that your film will look good for the warrantied time-frame? Some installers will sell based on the warrantied time and some will give a bit more insight into why and how to get the most out of your film. I will give my two cents on the matter. Like everything else that is car related, proper care will allow you to get the most out of your paint protection film or it will mean the film is ruined prematurely. Beyond your own care, warranties are only as good as the company behind it. It is not my goal to steer you towards one film. My goal is to provide you with enough information so that you can effectively interview your potential paint protection film company and discover what film and installer will be the best fit for you. My advice is to not just hear how long a warranty is available and choose based on that. In many people’s case, they will be replacing their clear bra within 5 years due to wear and tear anyways. Listen to your local installer and make your decision based on the information they provide as well. 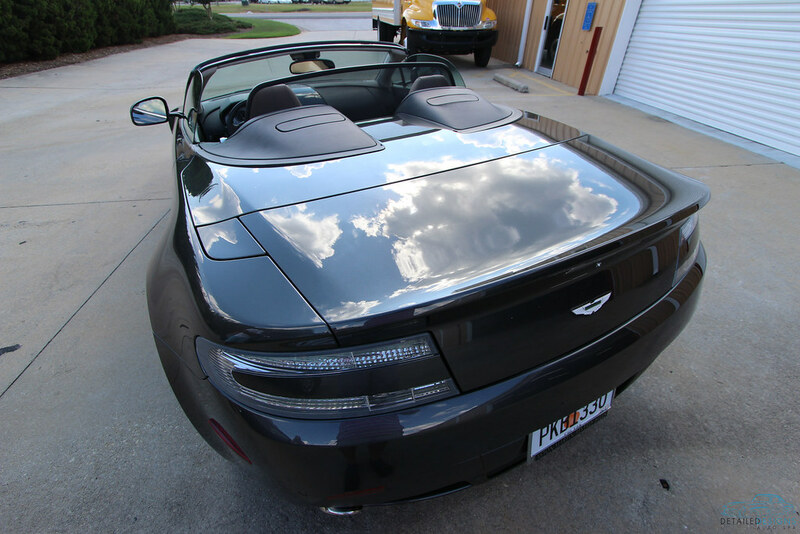 Where should a film that is used to primarily protect paint from rock chips be installed? At least the areas that are most exposed to rock chips! Common coverage for clear bra is the leading edge of automobiles and vehicles. 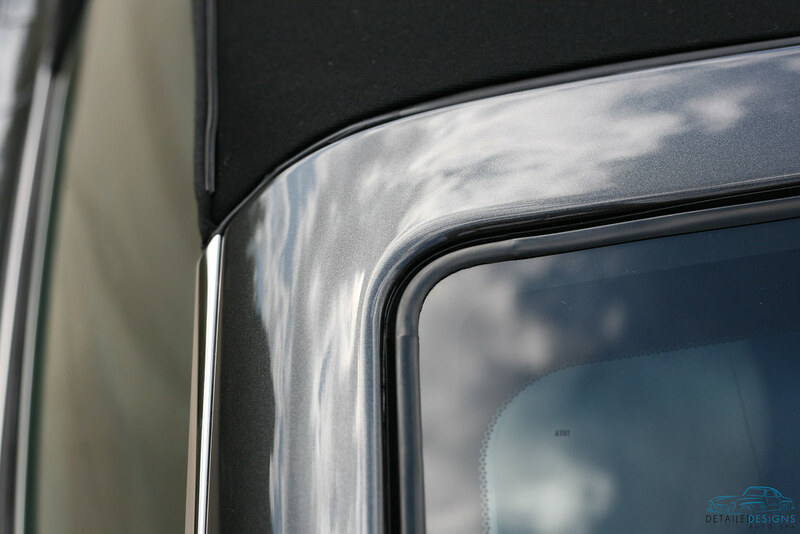 Some dealerships pre-load cars with door cups (under the door handles), trunk access strips or the front of the hood and fenders covered with PPF. Dealerships tend to reserve the more extensive coverage as an up-sell to new owners. Most computer cut pattern kits have the option for either full hood and full front fender coverage along with the front bumper or a leading edge of the hood and front fenders. For owners on a budget that want the highest wear areas protected, coverage can be reserved for just the leading edge of the hood, fenders and the full front bumper. There are a few draw backs to the partial coverage. Partial coverage will mean you have an edge of the film exposed towards the front or middle of the hood and fenders. What more, partial coverage still leaves a large portion of the hood and fenders unprotected. Where partial front end coverage may be acceptable to you, for some, they find out after the installation that they wish they’d gone with full front end coverage. Whether the catalyst for feeling this way is the line or a new rock chip on those exposed areas, the end result is you having spent hundreds of dollars and wishing you’d have had the full front end coverage installed. For clients that call us for clear bra installation in Atlanta, we advise that if the full front end coverage fits their budget, to go ahead and have that coverage installed. We’ve not yet had a client express displeasure with the protection and looks the full coverage offers. It is not unusual for rocker panels and areas near the wheel wells to see an extraordinary amount of rock chips and damage from the road. Cars with wide fenders and/or tires that have tread exposed beyond the wheel well are especially prone to damage. Some manufacturers are installing PPF at the factory. 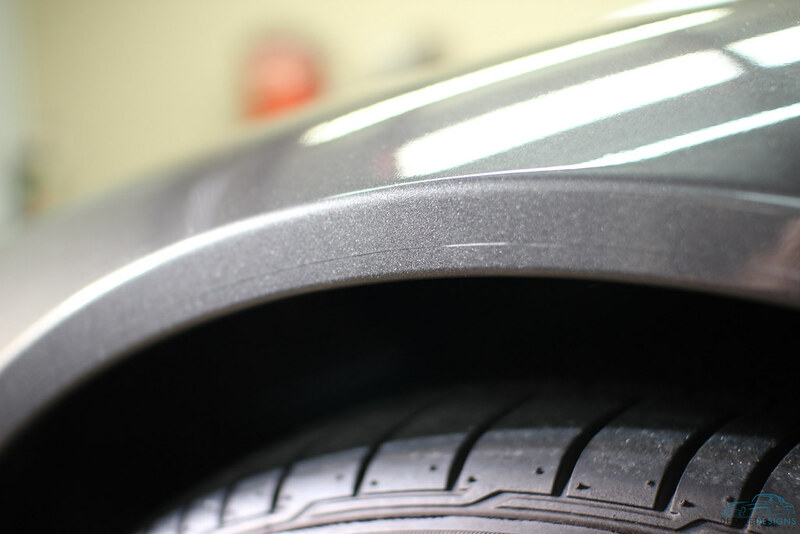 Porsche installs PPF on the rear fender of 911’s and Corvette Stingrays have film installed on the rear side of the rocker panels. If you take a look at the quality and coverage of PPF installed on the factory level you’ll find a lot of exposed surface and film that has a lot of texture/orange peel. It isn’t pretty and it leaves a lot exposed paint. Factory PPF can be a bit time consuming to remove. 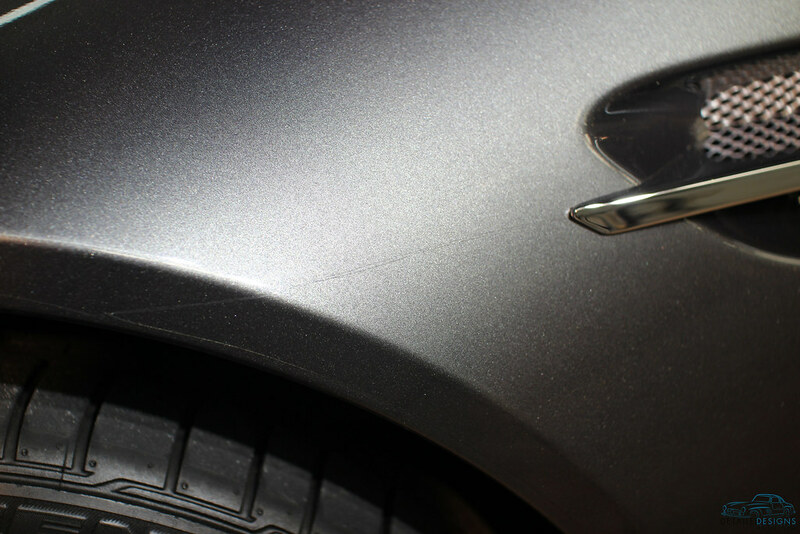 But once removed, quality top coated PPF can be installed in a way that offers superior aesthetics and coverage. From what I’ve seen, different parts of the US have different market standards when it comes to installation. Some areas are prone to only have custom installers who do not use precision computer cut pieces and some only use computer cut pieces. In some areas, it’s common to wrap all available edges and others not. What appears to be typical is that wrapping edges carries additional costs due to the added labor. 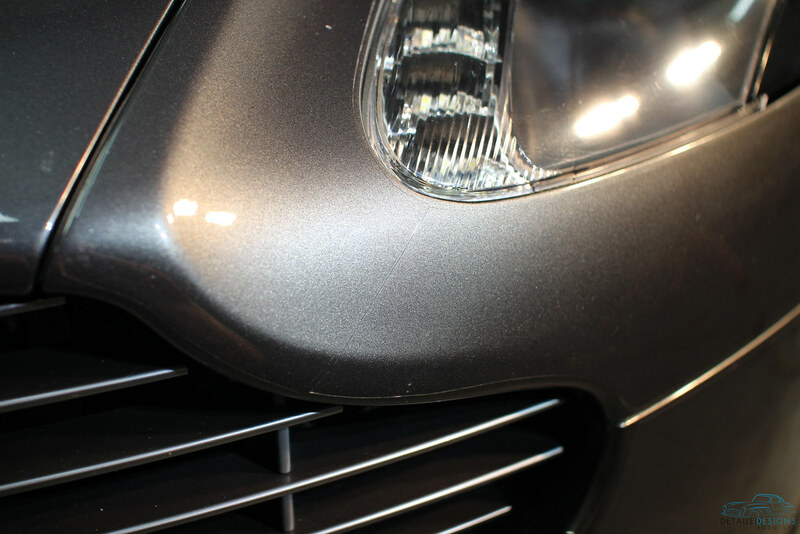 Are you wanting the best protection available for your whole car’s exterior paint? 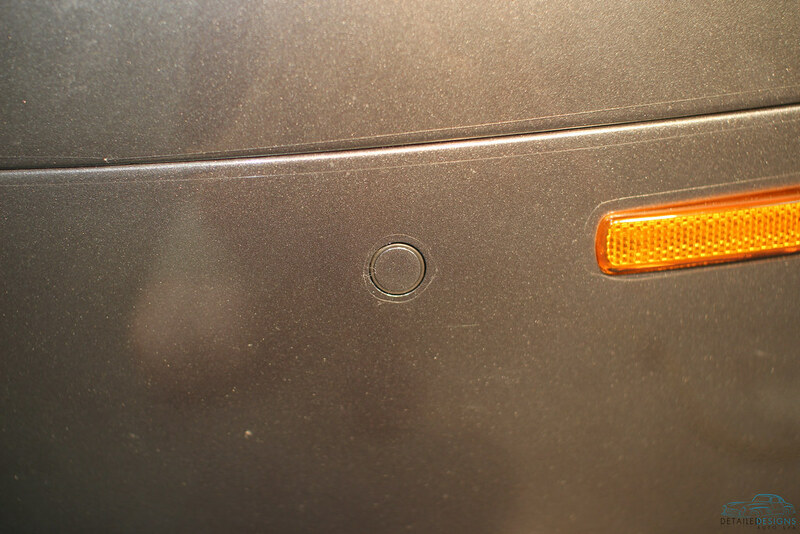 Clear bra can be installed on practically any exterior painted panel of a car. Because clear bra is 8 mils thick, it is much thicker than any wax, sealant or coating currently available for automobiles. If you’re going to be spending thousands of dollars wrapping the whole car, you’re definitely going to want to find a qualified installer. How can you find out who that is? Who to use to install your clear bra? Like any service, you want to find the most qualified company to install your clear bra. Many aspects of this article can be applied to the subject of finding a quality clear bra installation company. Between the high level of skill required and options available, good communication with your potential clear bra installer is a must. Some installers are simply not qualified to safely install clear bra on your car. We’ve seen many clear bra installations that resulted in cut paint. 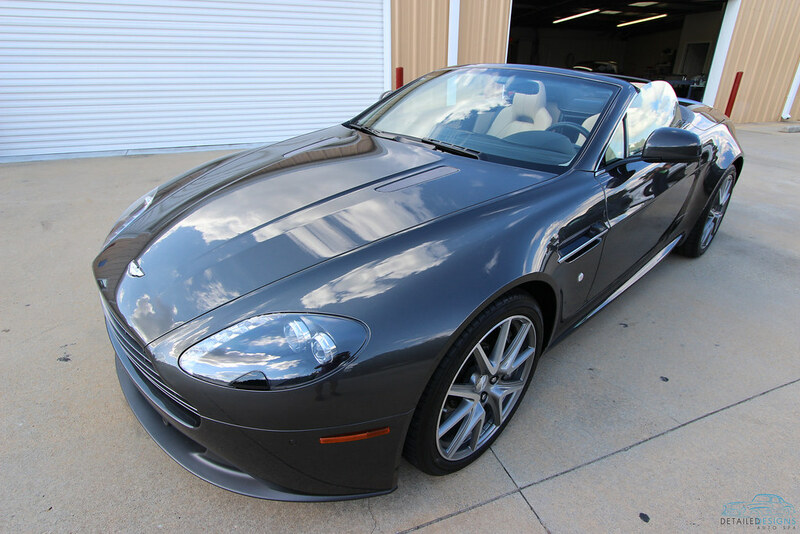 As I write this article an Aston Martin that has many cuts in the paint from the previous clear bra installation sits in my shop waiting on a full body clear bra wrap. These cuts were not visible until after the film was removed from the car. Long after the installation, an owner can pay a premium for using an unqualified installer. 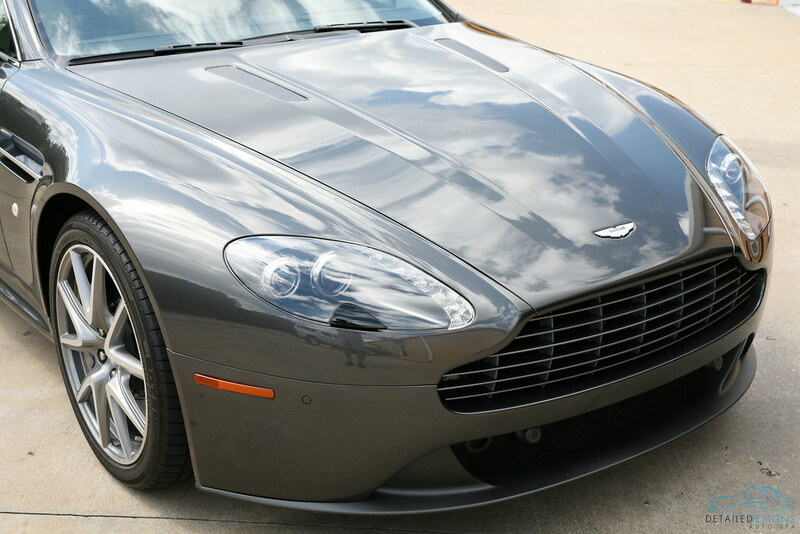 The owner of this Aston Martin purchased the car with a poor quality clear bra installation. The end result was inconsistent lines, heavily exposed edges, film with a lot of texture and …..cut paint. 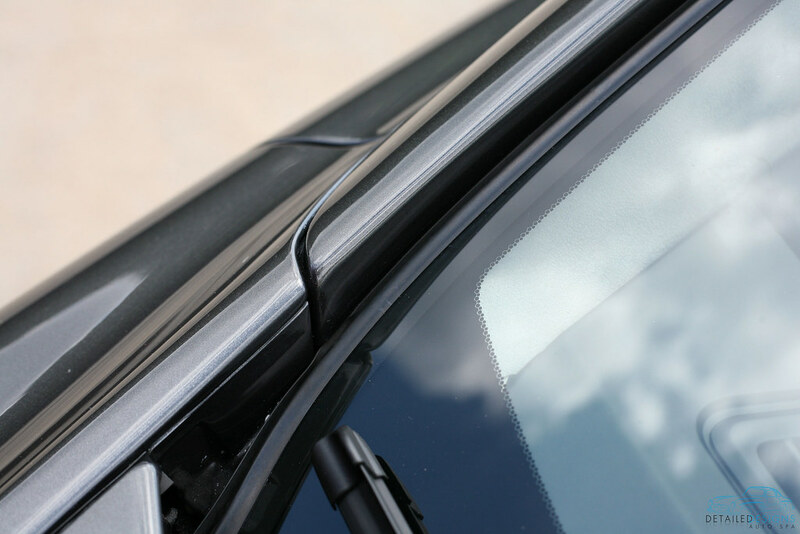 A good PPF installer will have a clear bra installation job that looks amazing, has quality film, no damage to the paint from razor blades or swirl marks from prepping and ongoing support. There is no single best way to find all of this out. But doing online research can give you a lot of available information on an installer. Proper care for your new clear bra will mean, first of all, keeping it clean! If you do not keep the clear bra clean it will still perform and protect, but the looks will suffer. If you take care of your clear bra as you would for your paint, you will do well for yourself! Top coated clear bra is chemically resistant, but it will not indefinitely resist stains. Bug marks if left on too long will etch the coating. Using pH balanced degreasers like p21s Total Auto Wash will help keep the surfaces easy to clean while being safe for the film. Regular waxing or sealing will give the same ease of maintenance to the clear bra as it does for paint. When you’re waxing or sealing the film, be careful not to let the product get caught up on the edge of the film or there will be an white build up that can become difficult to remove after just days baking in sunlight. 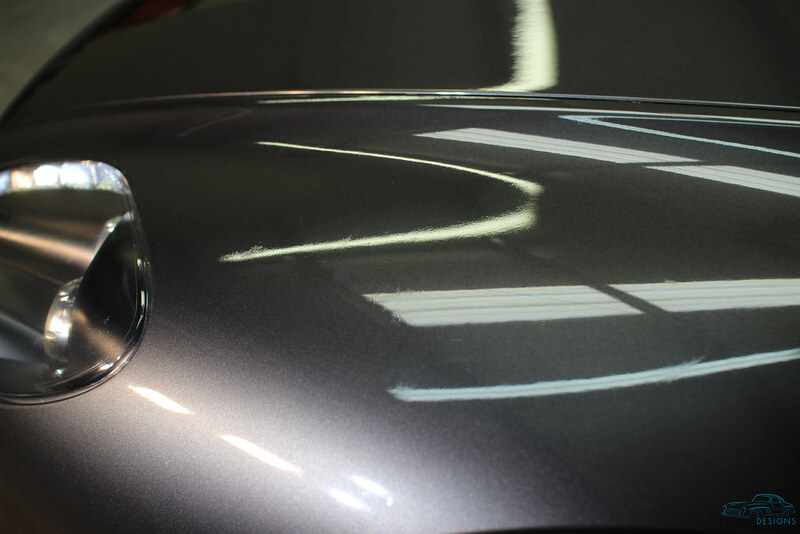 Using a spray sealant like Carpro Reload will give protection without the risk of a build up on the edges of the film. Keeping a layer of protection on the film will assist with resisting contamination bonding. For owners who are wanting a longer term solution for clear bra care, they can have a professional install a coating system like Modesta or CQuartz Finest over the clear bra. Owners who want to install a coating themselves can look for an over the counter solution like CQuartz UK. The benefits of a coating over clear bra can reach beyond function. Some coatings will provide you with paint that looks even better than before! If you are concerned with keeping your car paint chip free, there is no better solution than clear bra installation. Whether you have the car fully wrapped with clear bra, just the leading edge or something in between, a quality film installed by a qualified clear bra installation company and proper care will leave you pleased with the finish of your automobile for years to come. If you’re more of a traditionalist who hates the idea of anything but paint on the exterior and paint chips do not bother you, clear bra may not be a good fit for you. Simply put, clear bra tends to be a love it or hate it technology. In my experience, the quality of the installation weighs the heaviest on whether car owners love it or hate it. Do you have clear bra installed on your car? How long have you had it and how pleased are you with it? Have you been satisfied with the quality of the clear bra installation? We at Detailed Image and Detailed Designs Auto Spa would love to hear your personal thoughts on clear bra. Thanks for taking the time to hear my thoughts on paint protection film. Feel free to email me with any specific requests for future articles. 10 comments on Clear Bra: Is It a Good Fit For You? I have a total Xpel Clear wrap on my 2013 Tesla S, the wrap was installed when the car was new I do not know if any correction was performed by the original owner before he got the wrap. The paint looks clear no blemishes or swirl marks I can see. It is now about 24 months old and I cant seem to get any shine/Gloss/Depth from the car. I realize that a wrap will take away from the natural gloss of the paint but is there anything I can do with the wrap to brighten it up. Will a light cut with Megs 105 and then a polish help? Coatings can provide additional pop to the look of the film. I would advise testing out an over the counter coating like CQuartz UK over the film. Tape off a lower portion of the car that would be difficult to otherwise notice and try out the coating on an area you feel comfortable with. -you could also ask a local coatings expert for feedback (though, make sure they are experienced with coatings over film so the feedback has value). If you’ve already tried polishing the film, the next step would probably be something artificial layered over the film like a coating, wax or sealant. Excellent question and thanks for bringing value to the subject. Can the Xpel film help deflect door dings? My dealer is having the entire front end of my Panamera wrapped but I am weondering if maybe I should consider additional or a full wrap. To a degree, yes, the film will help with dings. Though, be aware that direct and intense impacts can still cause damage to a panel’s form regardless of clear bra being installed. My take on clear bra installation on a fine automobile is this. Buy as much coverage as you feel comfortable spending money on. Clear bra is like insurance. No one enjoys paying for insurance of any type. But when “something” happens, man is it nice to have it! Polishing film is similar to polishing defects on paint. The biggest difference in my opinion is going to be the heat tolerance. Film will handle typical heat well -heat that is common to film, like sunlight on a hot summer day. What it doesn’t do super well with is heat generation and release from the friction of a pad/machine on film. The idea when polishing film is to keep heat to a minimum. The same is true with paint correction on automotive paints. The difference is that people can get away with abusing automotive paint by overheating it much better than they can with clear bra film and it is less of an apparent issue. Much like how you can burn or damage your clear coat. You can burn the film if you overheat it along with the added stress of friction. My tip would be this. Start with finer polishes on finer pads. Use slower to medium speeds on a dual-action with light pressure. Allow the pad to almost free-spin with slow passes. Test the area right behind the movement of the machine with your hand to test for excessive heat build up. If that doesn’t cut, move up with the polish first to something a bit more aggressive. Stay with oilier polishes that will provide more lubrication. I would not suggest using any compounds. Not all films will respond to polishing well. I advise you start on an inconspicuous area and thoroughly inspect with multiple light sources prior to moving on with polishing more obvious areas. The great thing about clear bra is that it is wear and tear. When it looks rough, you peel it off and replace it with fantastic looking film! Most of the time, I suggest clients replace damaged film. I would advise a client to attempt correction only if the defect is very superficial and on a newer top-coated film. You could very well cause your film to look worse by attempting to correct it. These clear bras sound like a great idea for my car. I love that they can provide so much protection from rocks and things. The fact that these clear bras have just gotten better makes me want to try one out. Do you know how I might find a quitifed installer in the greater Washington, DC area they all sound good but?